In Essex there are excellent educational opportunities for children. The educational opportunities alongside quality of family life were cited by our staff as the key reasons for why they chose to stay in or to relocate to Essex. Essex offers a number of Ofsted rated ‘outstanding’ and ‘good’ schools and academies with GCSE and A-Level results above the national average. There is a diverse selection of secondary schools across the County including academies, colleges, comprehensives, grammar, independent and bilateral schools. The grammar school education is state funded with schools across South and North Essex locations. 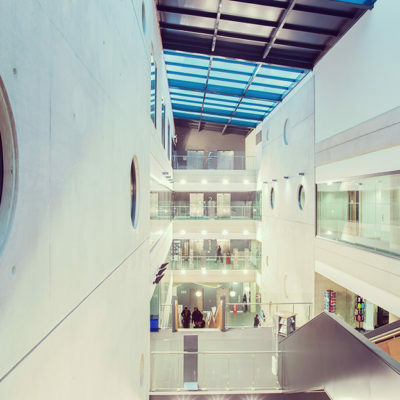 Essex is also home to the University of Essex and Anglia Ruskin University with newly opened Medical School. To find out more about education in Essex, please visit the Essex County Council website. For school rankings, please visit the directgov website. Read more about local school, including interviews with teachers in Essex Life magazine. Are you looking for the right opportunity to relocate to Essex? Apply for one of our current vacancies or upload your CV to our talent pool.